so i needed a techstation or something of the sort to keep my hardware on or leave it on the "floor" as it had been for the past 2 weeks or so. i'm calling this hephae. 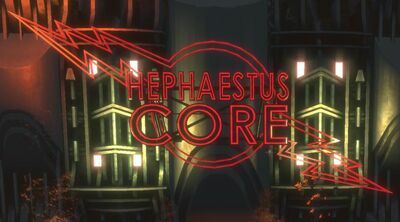 short for hephaestus, the greek god of technology and forging. this personally is somewhat ugly in my eyes as the material isn't really cleaned up or anything compared to my other works. plus, i didn't want to name it 'mini-tech'. now lews see how hephae is born. here are the chassis parts. whats not shown are the L bars used for support. this little contraption is to hold down the plate and L bar so i can drill the proper holes into the L bar. this is repeated around a total of 8 times for the 4 panels. after thats done, we start connecting panels together. and here come the rivets!! and 3/4 of the box completed. and the last 6 rivets!!! but wait! hepahe is still missing feet! oh, there they are!! and hephae at this point is 90% complete. then i tapped the baby! why is it still 99% complete? cause its missing these little doo-hickies! what are they for you ask? why, they're for the HDD! that goes on top of the PSU. it looks like there is very little space for the PSU but there actually is enough where it isn't an issue. this is why i needed to make myself a quick techstation. i'm posting this log via hephae. thanks for looking and i hope you enjoyed it. Is that strictly for a mini itx system? I really like that. thanks smash! well, when i marking out the holes for the mobo, i used my dead mATX board. it'll support it just fine but it looks pretty weird with the board that much bigger than the case. though, i have doubts about an ATX board on it. thanks CR! i would rather have it welded into one nice piece but this will do until i can find a new replacement case. Gonna powdercoat that bad boy? i was thinking about it but i'm leaning towards not doing so to keep it close to name. plus i've somewhat stopped using LEDs and cathodes. hard to fall asleep with them.